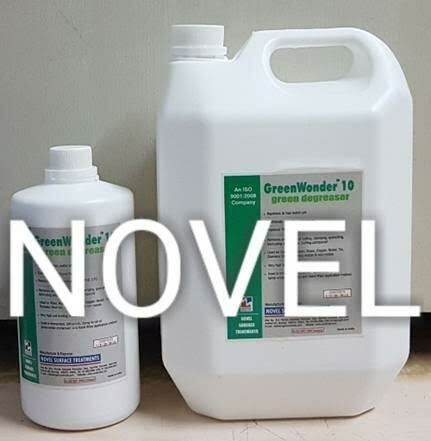 GreenWonder is supplied in liquid concentrate form. For using it, dilute with water from 1% concentration , depending on contamination type and quantity. Preferred operating temperature is 25-35 Deg. C. Application contact time depends on temperature, contamination & method of application. It is used to replace hazardous & toxic solvents like Trichloroethylene (TCE), Perchloroethylene (PCE), Carbon Tetrachloride (CTC), Acetone and other caustic cleaners. It prevents corrosion / tarnish. (A) Dilution starting from 5% - 10% or more with water. 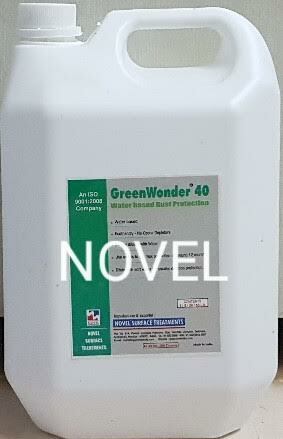 (B) Can be used 50% or more concentrated to get minimum rust / corrosion protection up to 1 year . ( Non Aqueous ) removes oil, grease, permanent marker pen writing, organic haze, finger mark etc.